ROSSS SpA builds metal shelvingfor office, storage, warehouse, shops and supermarkets, transforming in its only plant in Scarperia about 1,000 tonns of steel per month and exporting about 60% of this volume in about 50 countries in the World. ROSSS was officially founded in 1981, by Rossano Bettini who has a thirty year long and fascinating experience in the field of metal shelving, as he grew up in the metal works environment and had already worked in some of the most important companies, so that even today, some of them, have respectable leading position on the market. 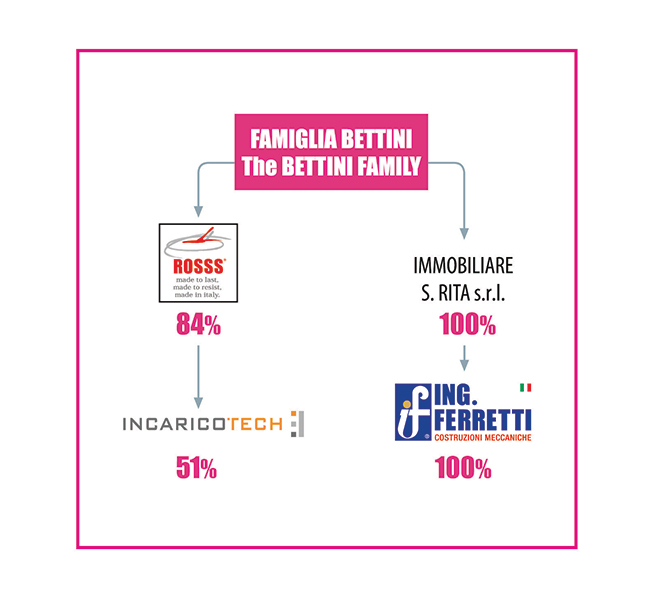 In 2009, in order to offer a more complete and qualified package of products, the majority (51 %) of the company Incaricotech Srl was acquired, based in Campogalliano (MO), which is involved in the field of the analysis and the planning of activities in the industrial handling and the supply of automatic systems. In 2014 Immobiliare Santa Rita Srl acquired 100% of the company Eng. Ferretti in Quattro Castella (RE), leder company in the construction of machinery for the dairy industry. THE ROSSS VISION. Creating Quality with rigor and passion produces long-term value for customers, in the form of performance, reliability, product safety, while promoting economic growth, human and social community environment. Built to last. Built to withstand. Manufactured in Italy. All the raw materials used by ROSSS are monitored by the Internal Testing Laboratory, to check mechanical requirements at the moment of purchase. 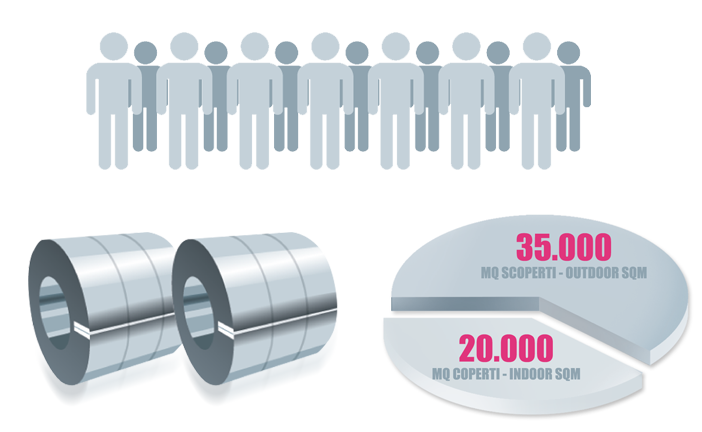 All steels used by ROSSS are free from radioactive contamination, in accordance with the provisions of Legislative Decree 17/03/95 no 230. We produce internally. We produce in Scarperia, Florence, Italy. With rigor and passion. AUTOMATIC SHEET COLD MOULDING AND PROFILING LINES. ROBOTIC ISLANDS FOR WELDING AND BENDING. MOULDING SYSTEMS, PUNCHING AND LASER CUTTING, FOLDING AND AUTOMATIC PANNELLING OF METAL SHEET AND OTHER SEMI-METALLIC. AUTOMATIC MULTI-COLOR PAINTING SYSTEM FOR THE APPLICATION OF POWDER COATINGS, EPOXY POLYESTER DUST NON TOXIC FOR THE ENVIRONMENT.